Vijaykumar Refractories & Chemicals Pvt. 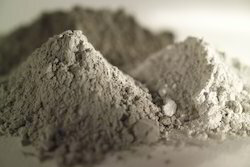 Ltd.
We are providing Silicate Cements. The cement powder is to be mixed with a special sodium waterglass solution. The Cement mortar is suitable to resistance against hydrochloric acid, nitric acid, sulphuric acid, halogen compounds, except fluorine, particularly at elevated temperatures. Special Potassium water glass solution is to be mixed with Potassium Silicate Cement filler in the required ratio. Vikoproof - SDK Potassium based cements have distinct advantage over Vikoproof - SDK Potassium Silicate Cements in that the former is not subject to crystal formation in the pores of the cement. Crystal formation may occur with sodium water glass cements where sulfuric, acetic or phosphoric acid is being used particularly if the tiles are not continuously rinsed with water. 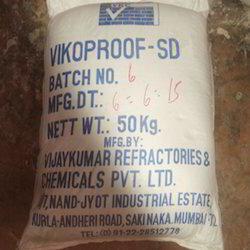 Vikoproof - SD Sodium Silicate Cement consisting of a powder filler and a liquid binder. The cement powder is to be mixed with a special sodium water glass solution. The Cement mortar is suitable to resistance against hydrochloric acid, nitric acid, sulfuric acid, halogen compounds except fluorine, particularly at elevated temperatures. Vikoproof - PF Phenolic Resin Cement is a phenol formaldehyde resin based cement and is resistant to non-oxidizing, inorganic and organic acid (i.e.) Hydrochloric acid, sulfuric acid (upto 70% con) Phosphoric acid, dilute acetic acid etc. 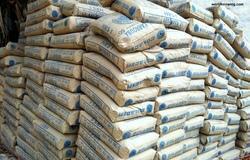 This cement is not recommended for caustic soda lye, hypochlorites, aniline and other organic bases and solvents. It can withstand temperature upto 120oC. A special carbon filled variety exist to resist hydrofluoric acid.